The LWF Council met in the historic town of Wittenberg, Germany, to carry out LWF business in its final meeting before the LWF Assembly. 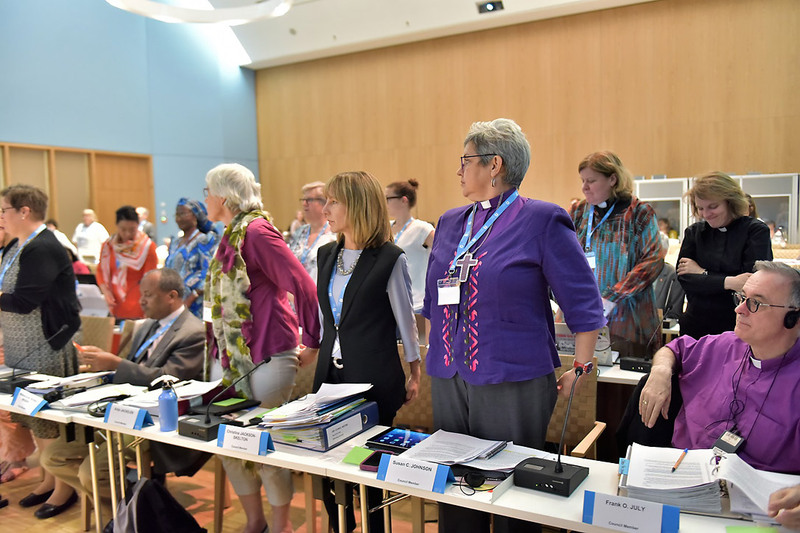 As well as updates on preparations for the Joint Ecumenical Commemoration in Lund on 31 October and the Twelfth Assembly next year, the Council heard reports from General Secretary Rev. Dr Martin Junge, Bishop Dr Munib A. Younan, and Finance chairperson Christina Jackson-Skelton. A pilgrimage before the meeting highlighted the themes of the Assembly and allowed Council members some days to enjoy the countryside of Wittenberg before the Council convened. In the course of the meeting, the Council issued statements on solidarity with refugees and Arab Christians in the Middle East, the Sustainable Development Goals, a peaceful resolution to the Middle East crisis, support for women’s ordination, the church in the public space, condemnation of the Orlando shooting, and concern about the threat to democracy in Latin America. 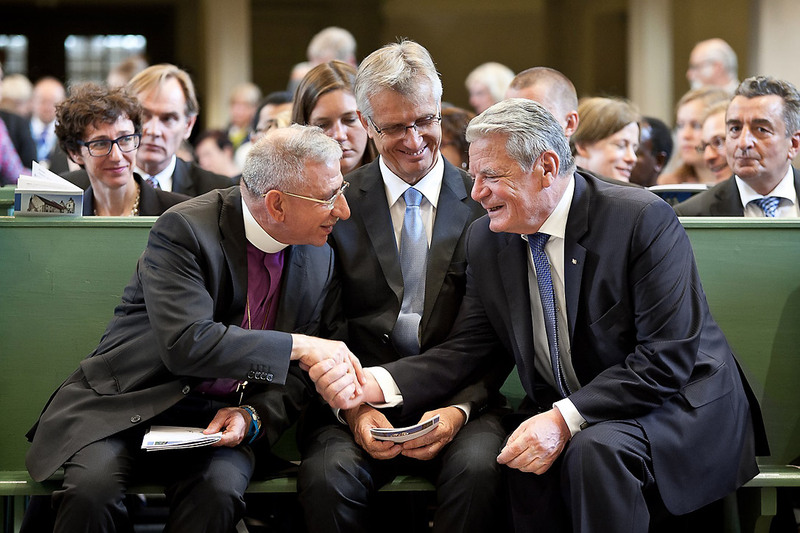 Opening worship: The first church service of the Council meeting was a joyful affair, attended by the President of Germany Joachim Gauck, who thanked the LWF for its “practical and spiritual assistance” around the world. Gauck, right shakes the hand of LWF President Dr Munib A. Younan, with LWF General Secretary Rev. Dr Martin Junge, center. 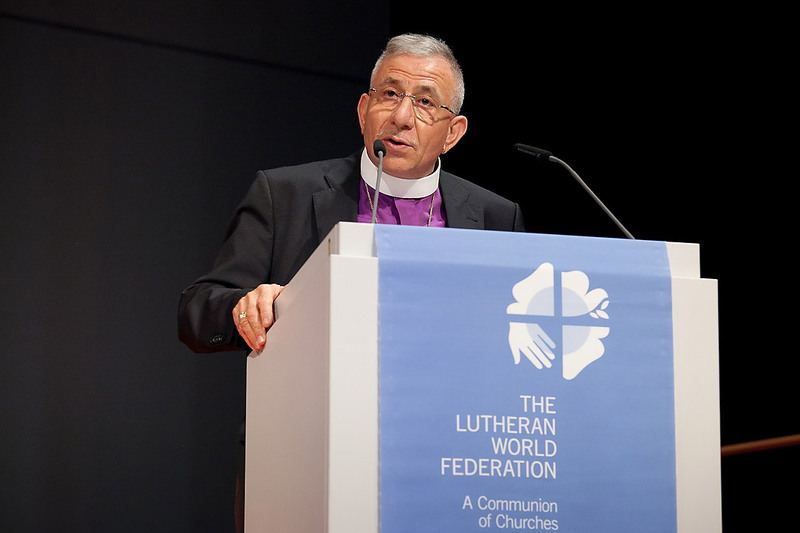 President's address: At the opening session, LWF President Bishop Dr Munib A. Younan urged LWF member churches to address the crises facing the world – crises that demand action moreso than "politeness". 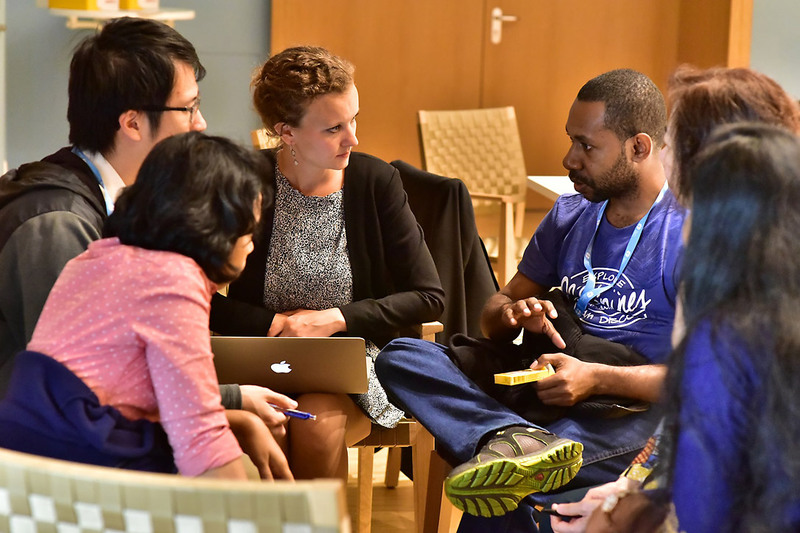 Meeting deliberations: The Council worked through an extensive body of business over the course of the five day meeting. One issue was the decision by the Latvian church to exclude women from the ordained ministry. On 20 June, members of the Council – starting with the women – stood in solidarity with Latvian women. Daily worship: Council members began each day with prayer and song in morning worship. 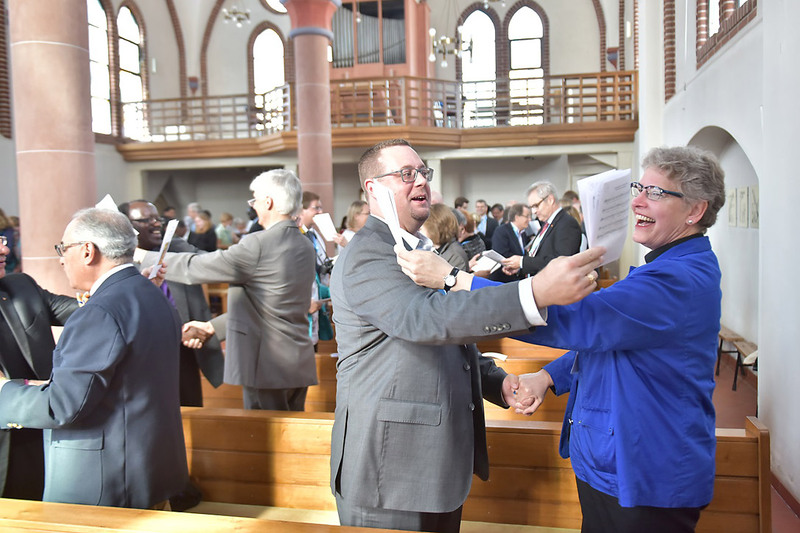 Worship was held in the City Church, however on one occasion, the Catholic Church of Wittenberg hosted the service. Women and youth meeting: As significant as the Council meeting itself, side meetings of women and youth, the endowment fund, and committees are an integral part of the Council. Council member Warime Guti speaks during the youth pre-Council meeting. 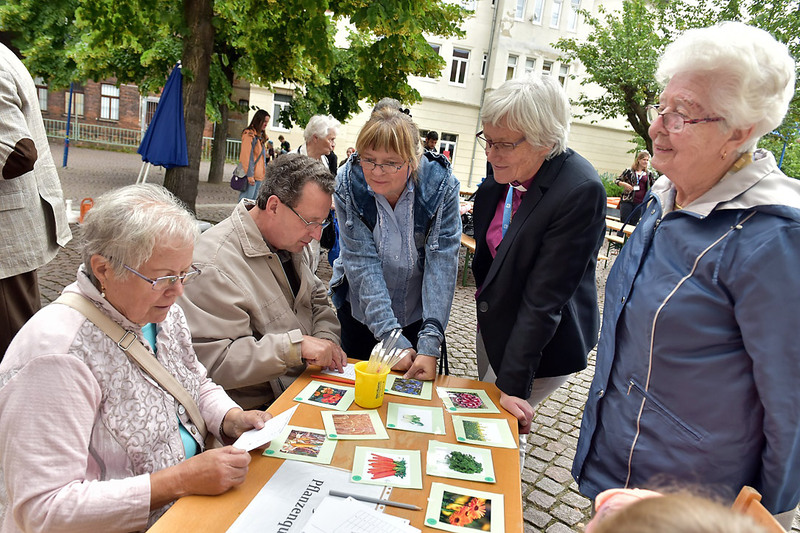 Sunday in local congregations: Council member Archbishop Dr Antje Jackelén tests her knowledge of plant seeds at an activity organized by the Lutheran church in the town of Bitterfeld following the service. 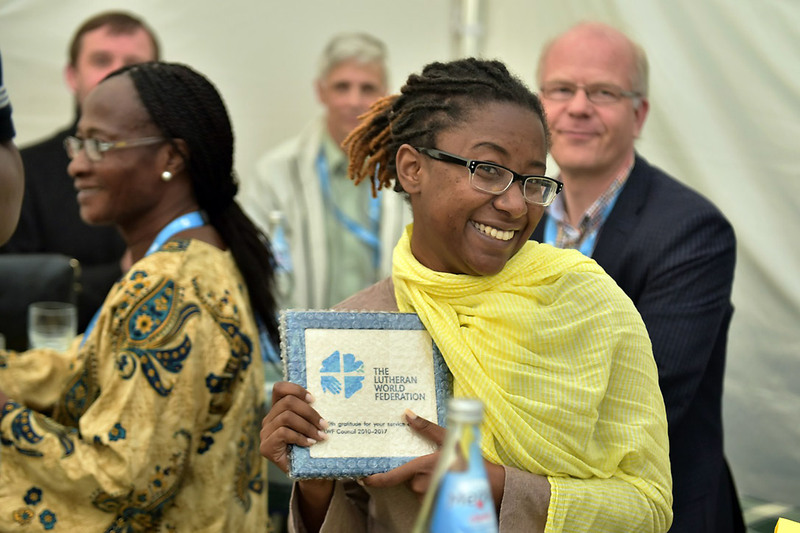 Churches in the area welcomed members of the Council for 19 June worship. Thank you night: Council members put business aside for one evening to celebrate their final days as a Council and accept words of appreciation from LWF staff for their work over the last six years. Danielle Dokman holds the commemorative plaque given to Council members to recognize their contribution.